What Is the Complex Cyst on Ovary? Home Women's Health Ovarian Cyst What Is the Complex Cyst on Ovary? When analyzing the health issue known as complex cyst on ovary you should be aware that an ovarian cyst is a sac filled with fluids that can be found inside or on the ovary. It is also possible for the cysts to have semi-solid substances. These cysts appear during the childbearing years of women. These cysts are pouch-like growths located on the ovaries that are filled with liquid or solid substances. It is possible for the cyst to have irregular components. In some cases the ultrasound found hair in the cyst. It is also possible to have ovarian septa. This means that there are internal walls within the cyst. The ovarian cyst that is complex is made of solid substances it is usually called a tumor. It could be a granulosa cell tumor, firboma or Brenner tumor. Cysts of this kind are rarely found and they are more dangerous than the hemorrhagic ovarian cysts. The name ‘complex’ refers to the fact that they are more complicated than the other kinds. These cysts could turn out to be cancerous and they could lead to death if they aren’t treated. At the moment it is almost impossible to know the exact cause behind the apparition of these cysts. It is a mystery why some women have less dangerous cysts than others. Some of the possible causes of the complex cysts on the ovary include ovarian cancer, metastatic cancer, hormonal imbalances, smoking, genetic predisposition, infertility, early menarche and obesity. These cysts are made of ovarian tissue and they could have 12 inches or more in diameter. 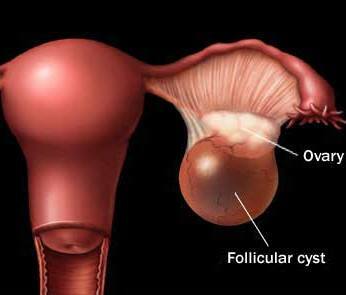 If the complex cyst on ovary becomes this large, the ovary could twist, leading to extreme pain. It is interesting to know that some of the symptoms are similar to the symptoms of ectopic pregnancy or endometriosis. If a woman experiences sudden pain in the abdomen it is best to seek immediate medical attention. In the majority of the cases the regular ovarian cysts disappear on their own within 2-3 months after appearance. If the cysts appear often, the doctor will most probably prescribe birth control pills. This is because these pills reduce the hormones that promote the growth of the cysts. Nonetheless there isn’t a general method of treating the cysts. In some cases the complex cyst on ovary can be treated by medication while in other cases the cysts need to be surgically removed. It is possible for the doctor to perform a manual pelvic exam to see whether there are any cysts. You could also have a pelvic ultrasound. When it comes to the ovary’s cyst that is complex it may be better to have an MRI because it offers more accurate results. The ultrasound can’t really make the difference between the various kinds of cysts. As you can see, a complex cyst on ovary isn’t something to fool around with. If you see that there is something wrong it is best to seek medical attention. 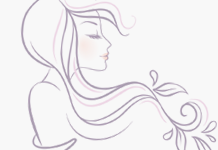 Next articleWhat Are the Symptoms of Bacterial Infection in Women?